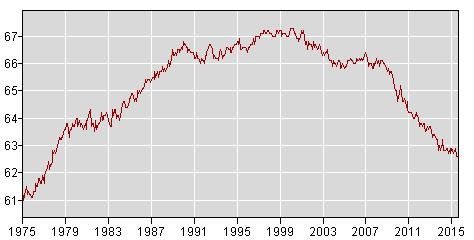 The labor force participation rate is at a 40 year low. 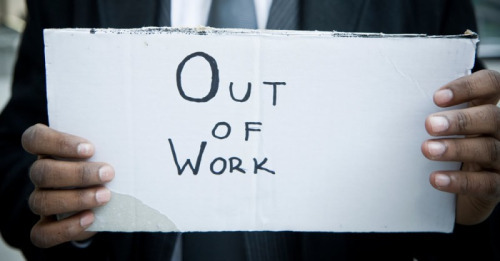 For this reason, the unemployment rate always has to be evaluated together with the labor force participation rate; it’s the only way to get a true sense of what is going on in the labor market. On Friday, the labor force participation rate dropped to 62.4 percent, which is the lowest it has been since October of 1977. See the chart from the Bureau of Labor Statistics below.